Professional nature and adventure photographer discusses what went into the making of his image of a female hiker jumping from rock to rock at Delicate Arch in Arches National Park near Moab, Utah. Professional nature and adventure photographer Bret Edge writes about the process involved in creating his image of Landscape Arch framed by a weathered juniper tree in the Devil’s Garden area of Arches National Park in Moab, Utah. Professional nature and adventure photographer Bret Edge writes about the making of his image of mules ear wildflowers blooming below The Organ in the Courthouse Towers area of Arches National Park near Moab, Utah. 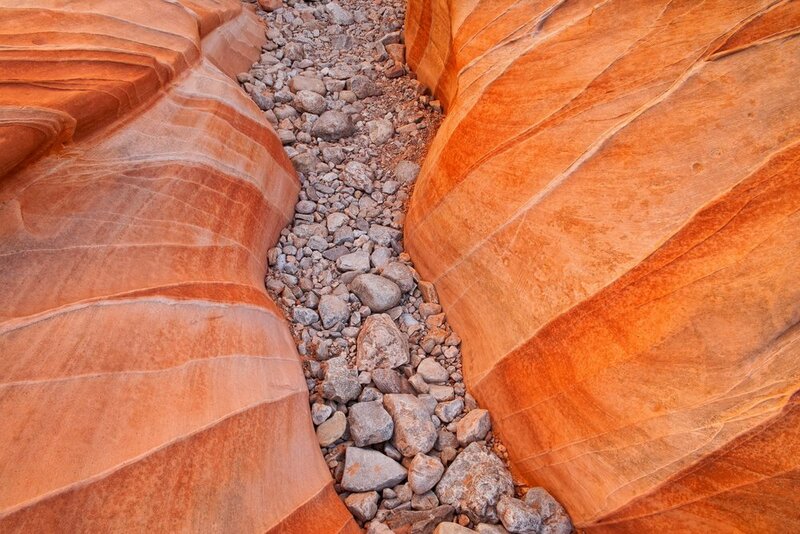 Professional nature and adventure photographer Bret Edge writes about the making of his popular slot canyon image from Valley of Fire State Park near Las Vegas, Nevada. Professional nature and adventure photographer Bret Edge discusses creating his image of a mountain goat and Mount Rainier reflecting in a tarn in the Tatoosh Range at Mount Rainier National Park in Washington. Moab photographer Bret Edge reveals the story behind his popular photograph of a snow storm at the Windows area in Arches National Park near Moab, Utah.